Going on a Road Trip? 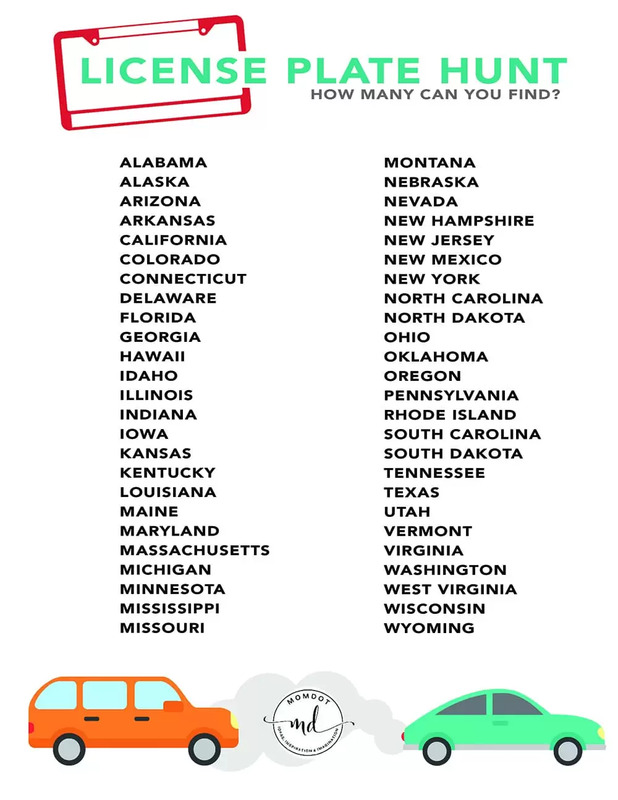 Download this free License Plate Game Printable perfect for identifying states and so fun for your little backseat drivers. There are so many fun games to play in the car, but this one is iconic! I am sure you can account for the times you spent in the back seat begging to play “I Spy” and looking for unique sites along the way. This license plate game printable provides a little break in the monotony and the ipods. The rules are so simple on this classic road trip game. When you spot a license plate from the state, cross it out! The first one to all the states, wins! You can also pre-plan prizes by picking up dollar store toys or dollar bin toys to reward the hard work of your little people. The printables on momdot are free of charge, however, I do ask that you do not link directly to the PDF file, resell, or use commercially. This is a violation of the terms of the graphics. You may use for personal usage (parties, classrooms, home school, church) as desired. Love these printables? Try my printable category for more fun! Looking for another fun scavenger hunt? 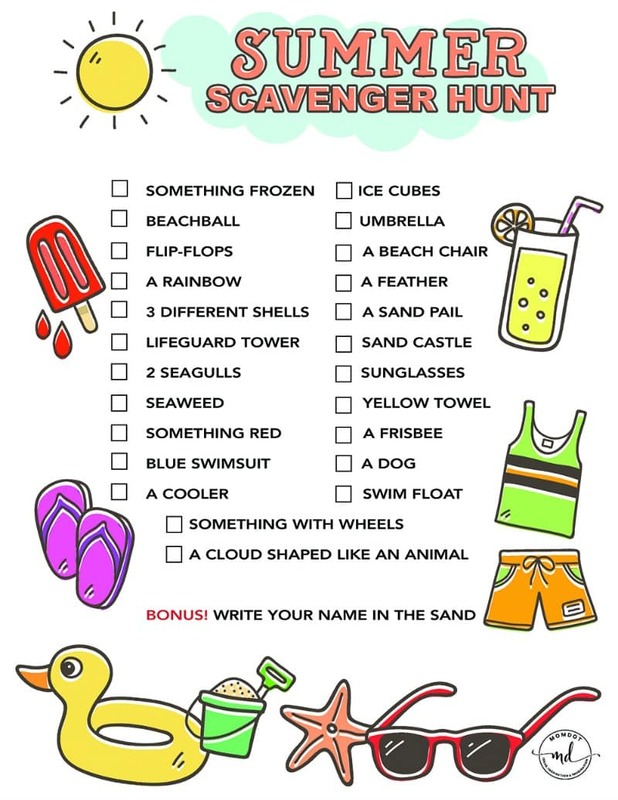 Click to be taken to the Nature Scavenger Hunt or Summer Scavenger Hunt!